This summer, you won't want to miss the chance to hit some of the seven best theme parks in California for some fun in the sun. 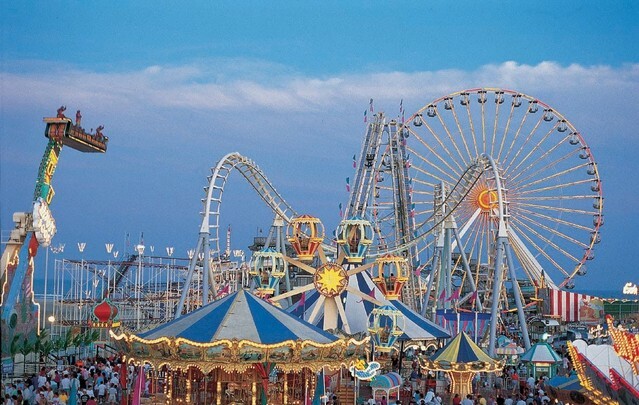 From sky-high roller coasters like Six Flags Magic Mountain's Goliath to good old-fashioned family fun at amusement parks like Disneyland, you can find the theme park that fits the fun you seek! Whether it's the more than 200-foot drop into a hole in the ground or the complete stop, leaving you hanging on your side above the ground, Six Flags Magic Mountain's Goliath is known as one of the best roller coasters in California. For the best experience, wait the extra few minutes for the front seat. Combining a 115-foot drop and a lot of water, the Perilous Plunge roller coaster at Knott's Berry Farm will leave you feeling like you're riding down a waterfall. The 75-degree drop-off is just a few feet short of Niagara Falls' height, and will have you screaming at the top of your lungs. Just remember to bring a towel! The "happiest place on earth" offers two great amusement parks for every member of your family. With baby centers that include facilities for diaper changing, nursing and bottle feeding throughout Disneyland, Disney's California Adventure and the Downtown Disney District, visitors young and old can have fun with the comforts of home while hanging with the Disney family of characters. Hollywood magic is brought to life when you get a VIP pass to Universal Studios' movie-based theme park. Although there are attractions and shows for every age, this amusement park is best suited for teens and adults due to loud noises, high action and life-like special effects. Nestled inside the Frank G. Bonelli Regional Park's boundaries, Southern California's largest water park is packed with seasonal water park fun. With a lazy river, rafting slides and body slides at every thrill level, water play areas and gentle water fun designed especially for babies and preschoolers, you can cool off while having a sizzling good time. This Lego-themed amusement park uses its famous plastic building blocks everywhere they can, including their rides. Legoland offers fun for older and younger visitors, but is best for families with kids ages 4 to 9 years old. Take thrilling roller coasters, wild animals and marine life, and you're guaranteed a day of fun. With thrill rides for the adventure seeker and family-friendly fun, you'll feel safe letting your teens spend time exploring the park on their own.